A comparative economy wide analysis for Morocco and Tunisia. Morocco and Tunisia are considered among the countries where the scarcity of water resources may cause a serious constraint to the development of their economies. During the past, huge efforts have been made by both governments in order to satisfy an escalating water demand expressed by all users. 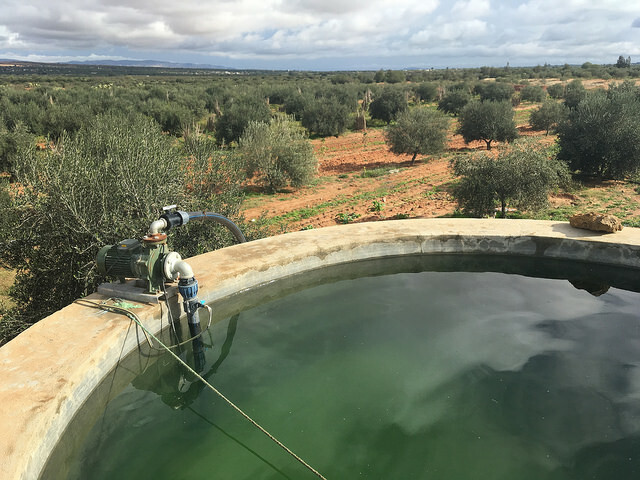 The main objective of this paper is to compare the impacts of alternative water policy management scenarios on Tunisia and Morocco. The fact that a same policy instrument applied to two different countries can have different impacts; represent the main motivation behind the adoption of a comparative analysis. A dynamic water CGEmodel taking into account the particularities of both countries’ economies in terms of agricultural production technologies has been implemented and used as a laboratory to explore the likely effects of water economic instruments. The results show that large public subsidies to water mobilization and distribution significantly affected the structure of agriculture production in both countries. Download the full working paper by Chokri Thabet via ERF - Economic Research Forum. The Euro-Mediterranean AGORA is a way to engage the civil society in the institutional and policy dialogue on research and innovation with the aim of becoming an integral part of the decision making and governance processes. The Agora is an important component of the broader MEDSPRING project, supported by the European Union with the aim of strengthening the Euro-Mediterranean dialogue and cooperation on research and innovation. "Without the Nile there is no life"